15-passenger vans are often the vehicle of choice for organizations including private schools, churches and nonprofits. Unfortunately, there are an overwhelming number of studies showing the dangers of these sizeable vehicles. As a result, laws concerning the use of the vans have been tightened, and it can often be difficult to get the insurance coverage needed to operate them. We at Beacon Insurance Agency of Pace, Inc., have been serving the insurance needs of churches, nonprofit organizations and private schools throughout the area for nearly a decade and believe in offering the coverage you need to continue your mission of service. We have partnered with GuideOne Insurance to offer our clients safety resources to prevent risks and provide them with insurance for 15-passenger vans. At Beacon, lighting the way to our clients’ peace of mind is our mission, and that goal keeps us driven to provide you with any coverage you need to find peace of mind. GuideOne has been an expert on the safety needs of churches, non-profits and private Christian schools for more than four decades. In our work with GuideOne, Beacon offers our clients exclusive access to tools and resources that better enable you to safely operate these high-risk vehicles and meet the requirements necessary for gaining the best coverage possible. Added to the potential of rollovers are issues such as the lack of seatbelt use, passenger misconduct, the lack of side-impact protection and even poor driver selection. 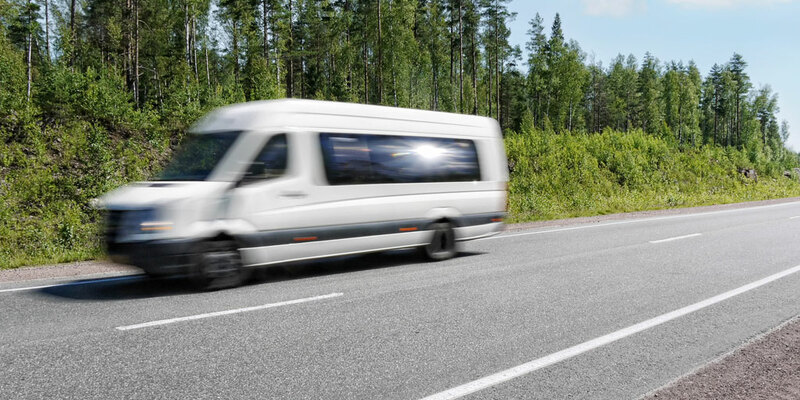 Combined, everything creates the perfect storm of risks that increase the probability of fatalities or serious injuries resulting from a 15-passenger van accident. Due to these dangers, an increased amount of demand has been placed at the state-level to obey strict federal laws and to pass state laws regarding use of 15-passenger vans. Understandably, families of accident victims are often the driving force behind such changes in the law, and a great number of insurance companies have reassessed their coverage options for the organizations that use the vehicles. For those organizations that do hold policies on 15-passenger vans, more information, reports, possible changes or more stringent requirements are likely being attached to their coverage. Churches and schools should also be aware that the use of 15-passenger vans to transport children to and from school should be prohibited. Every organization is responsible for the safety of the passengers it transports, and reducing the possibility of crashes and injury should be of the highest priority. Call Beacon Insurance Agency of Pace, Inc., to learn more about GuideOne and the 15-passenger van coverage we offer today!